560 horsepower. 600 lb-ft of torque. Sounds like a monster awakened from a century's long slumber. Yeah, we want this car made, stat. We got our first glimpse of the Infiniti Q50 Eau Rouge concept back at NAIAS, and we already had enough to be excited about with its combination of premium sports sedan flair and Formula One-inspired aggression. At the time, Infiniti President Johan de Nysschen said that if the company decided to build the car, it would likely get more than 500 horsepower and 600 lb-ft of torque. Today, at the 2014 Geneva Motor Show, they popped the hood and let us get a look at the Eau Rouge engine. 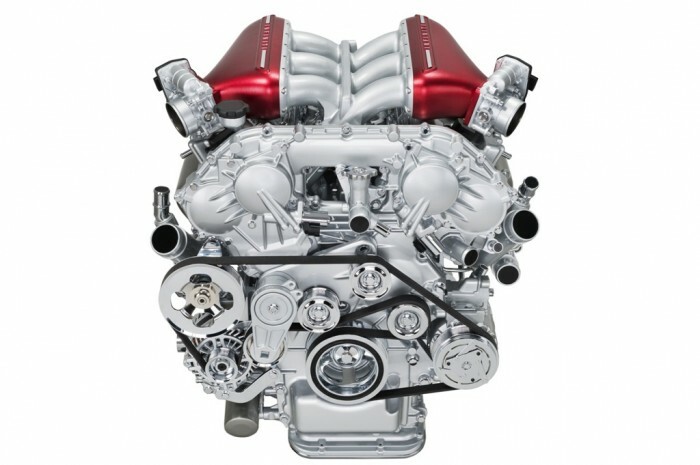 What you’re seeing here is a twin-turbo 3.8-liter V6 engine that has an output of 560 horsepower and 600 lb-ft of torque. Paired with a 7-speed gearbox on an all-wheel drive platform with 50/50 front-rear torque split, the Q50 Eau Rouge is expected to pull down a beastly 0-60 mph time of less than four seconds and a top speed of around 180 miles per hour. Think the Eau Rouge engine looks good? Just wait til you hear how that thing sounds. Did you get chills? I know I did. 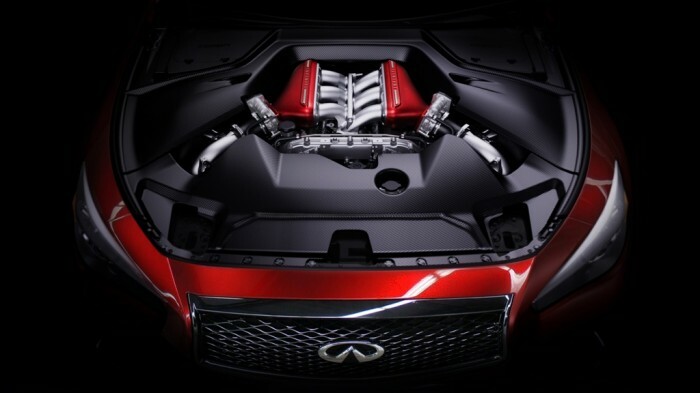 “Building on the extremely positive feedback on the Q50 Eau Rouge at its recent Detroit Auto Show launch, we decided to further whet the appetite of performance sports sedan fans by engineering this powerful heart into our blood-red beast,” said de Nysschen in a press release. 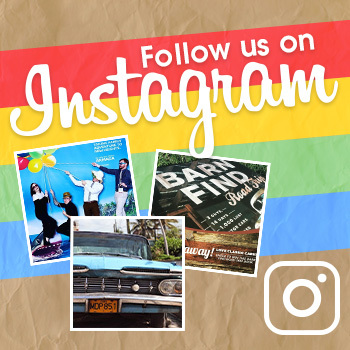 Did we mention that sound? Well, it bears repeating. That’s the sound of what is ostensibly a Nissan GT-R in the body of a sports sedan. Infiniti would be crazy not to bring this baby to production. What do you think? You buyin’ this one?